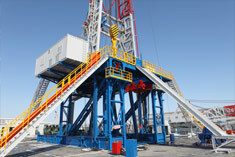 Hardline Consulting Group, LLC has a Petroleum engineer and a support staff that are also available to provide assistance by preparing and/or reviewing drilling programs, well planning, AFEs, completion programs, workover programs, frac design coordination and review, as well as artificial lift design and review. We also handle a variety of regulatory needs in both Texas and New Mexico: operator bonding, drilling permits, water board letters, re-entry permits, completion reports, plug and abandon permits and reports, staking notices, road and pipeline right-of-way and other required filings. We can help you find the rig, estimate the cost, design the well, secure the permit, set up all services and supervise the drilling from spud to rig release. Our associates and drilling supervisors are prepared to handle lost circulation, water flows, hydrocarbon influx and other situations with a delicate touch and an eye on safety, while keeping the primary goal in mind – getting your wells drilled safely and efficiently.